This amazing creamy burrata bruschetta was pure heaven in your mouth. It was hard to choose which one was the best. 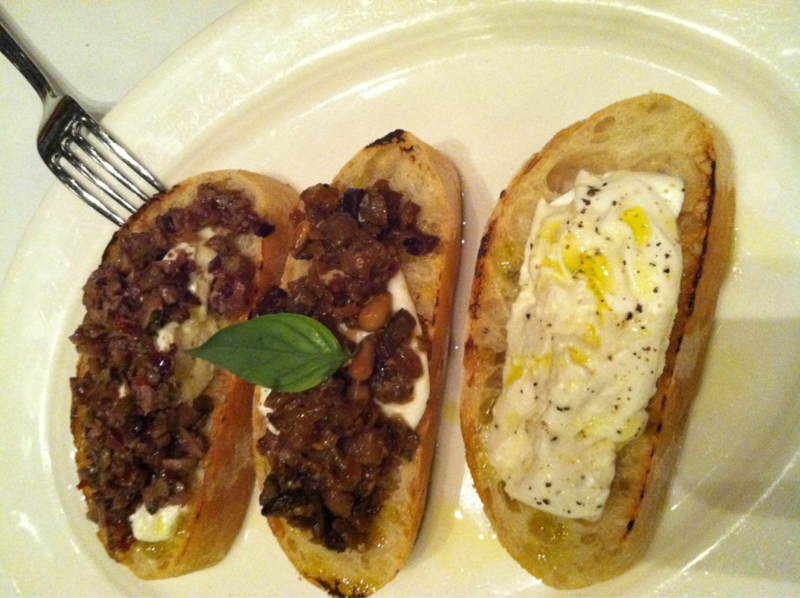 One served with olive tapenade, one was served with eggplant caponata and the last one was served on its own with olive oil and salt and fresh ground pepper.